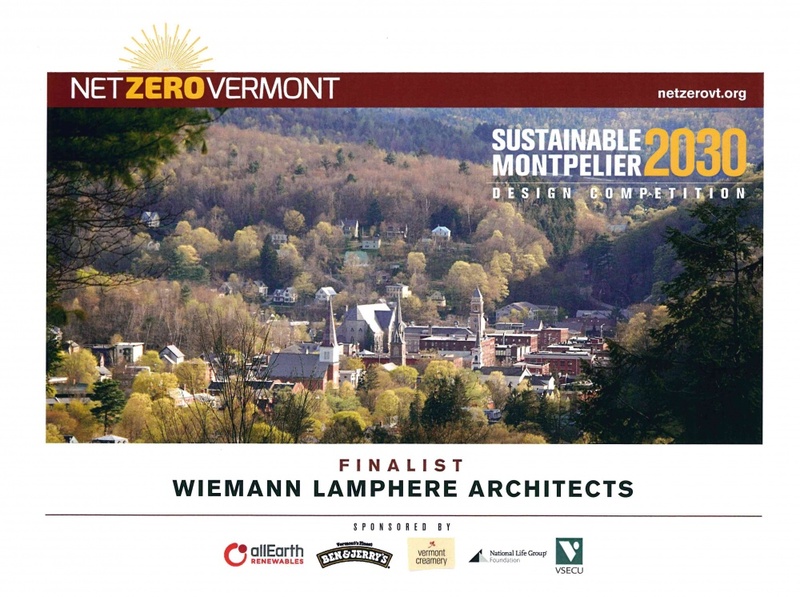 Wiemann Lamphere was chosen as one of 5 finalists for the Montpelier 2030 competition hosted by Net-zero Vermont. The competition was fierce but we were chosen from over 30 proposals to present our designs for sustainable development in and around the Vermont Capitol. For more information and images related to the competition as well as our submission please visit the project page under the "our work" section of the website!